There are few things more exasperating than working your tail off in the gym and the kitchen only to remain stuck in a progress plateau, getting no real results for weeks, sometimes even months. What did you forget? Skip? Ignore? What did you do wrong to deserve this frustration? Despite what marketing gurus would like you to think, this whole 'fitness' thing isn't easy. There is no magic pill, special shake or quick-fix workout routine that delivers fast results. Hard work, consistency and patience are the three things that work best for everyone, but even with those tried-and-true methods, even the best get stuck in a rut. While it's common to blame things like training intensity, using the wrong diet or training plan for your body type, not having enough time, poor sleep or lackluster stress management, those things are all still obvious if you are truly honest with yourself. Then, there are these five not-so-ordinary reasons why you may not making progress. These are the things you may not know to look out for or even consider. These are the sneaky hidden obstacles that will now be on your radar, allowing you to avoid them in the future and continue on towards your goals. The catch? Some of these five realities may be eye-opening. These may—and should—make you evaluate some of the people around you, your habits and your behavior. It's not always comfortable hearing hard truths, but it definitely always helps. 1. Your environment is no good. When it comes to fitness, everyone seems to think having willpower and strict rules is the only way to get results. While those two traits certainly don't hurt, your environment is arguably more important to your results than both combined. In my eyes, your environment is the absolute most important component when it comes to creating healthier habits. Environment trumps willpower and will always be superior when the two are faced against each other. It may not be immediate, but your willpower will eventually give in to your environment. It could take seconds, minutes, days or even years but it is 100 percent inevitable. No one is perfect, so to think that we can live, eat, exercise, work and travel perfectly without ever giving into temptation every now and then is illogical. While it's a difficult concept to grasp, studies assert that willpower is not an infinite attribute of the brain. Think of your willpower as your smartphone: If you're on your phone talking, texting and playing on apps all day, it's going to drain your battery faster. Eventually, your battery is going to die, and you'll be forced to charge it. If you rely only on willpower to turn down unhealthy food choices multiple times a day, that's going to drain your supply of willpower faster, which is why it's so important to keep a healthy environment. What is your environment? It's every person, place or thing that you habitually come into contact with in your life. Your environment is your workplace, your pantry, your snack drawer, your friends, your home décor, your [un]organized car and on and on. These things make up your environment. If you have a healthy environment, you'll be surrounded by things that drive you toward excellence. This will come in handy when willpower inevitably runs out. And when it does run out, you'll be more inclined to give into that sweet tooth craving you've been fighting for a day or so. But when you do, does your environment still support your goals? If you keep junk food around the house or in your snack drawer at work, chances are the answer is no. This is not to say that you have to drastically cut anything and everyone out of your life if they aren't health conscious, but rather recognizing that being extremely aware of your environment in relation to your goals is one of the most impactful moves you can make. If someone were to raid your office, home and car would they say, "Wow, I bet this person is pretty healthy," or would your environment tell a different story? Reflect on that, make the necessary adjustments and you'll be on your way to a smooth journey to health. 2. Your support system isn't strong. Speaking of your surroundings, consider the people around you. Your supporters. Are they really supportive? A support system can go a long way in trying time, whether you're pursuing fitness, health, education or any other endeavor. The problem is, just as influential a support system can be, it can be equally detrimental. It's important to keep your friends and family informed of the goals you are working to achieve. Keeping those close to you in the loop will help you see who really has your back and who does not. If you have a friend who's always dragging you out to the bar because they know you can't say no, it may be time to have a conversation. That toxic relationship that leads you to emotional eating? It may be time to talk about how their actions are negatively affecting your health. Keep people around you that are going to keep you accountable, moving forward and focused. In return, you work to do the same for them. That's a team. That's true support. Anything else is just slowing you down. 3. You don't train hard enough. This is going to be blunt and honest, but sometimes that's the only thing that will do the trick: You just don't train hard enough. And it's not your fault. Mainstream media portrays fitness as this quick-fix, easy, fun journey from couch potato to fitness freak overnight. It's unrealistic and causes more frustration than anything. Improving your fitness is never quick. It's never easy. Truthfully, it's not even all that fun sometimes. It takes grueling effort, consistency, hard work, a lot of sweat and most people just flat-out don't bring it. If you've hit a wall and feel like you're not progressing, chances are you might have to go harder. Ask yourself this: Have you ever pushed yourself to a 10/10 exertion? Given it a true, 100 percent effort, leaving it all on the gym floor? If most of us are completely honest with ourselves, the answer is probably no. In fact, most people don't know how to push to that level. Your body is the most amazing machine ever created. If you want to change it, you have to push it to change. Going to the gym and lifting the same weight or running the same distance for months or years at a time is not going to get you anywhere. You must challenge yourself in order to change yourself. The body will adapt; you just have to give it a reason to adjust. As with any training, it is important to listen to your body. If it's telling you no and you feel it, take a breather. If you're just stopping because you don't think you can do something or you're too nervous to push it to the next level, it's worth challenging yourself to see what you're truly capable of achieving. No one can go 10/10 on the exertion scale for every workout, but if you've been exercising for a while, find a certified personal trainer, workout class or new routine that will push you to train harder. You'll be surprised how quickly this simple, but challenging change will start solving your plateau problem. 4. Information overload has officially set in. Information overload is a real issue. Even this article, in some ways, is adding fuel to the fire. Everyone has a YouTube channel, Twitter, Instagram, Facebook page or blog out there where they can quickly deliver the thoughts they believe are most valuable. Unfortunately, it's open season. The amount of information out there on health, fitness and weight loss can be especially overwhelming. Anyone and everyone can put out information for consumption; whether that information is helpful or not is a completely different conversation. When perusing articles, videos or graphics, it's important to look at the source and ensure that the information being delivered is safe to try before giving it a shot. If you're confused as to where to start, consider talking to a health expert to get their input before relying on a random diet you found on Pinterest. Finding what works for you is the key to finding lifelong happiness in your journey to health. There's no need to jump ship from one extreme diet or workout to the other. Be wary of anything that promises a "quick fix" or results within an unrealistic time period. Remember that there's no definitive right or wrong for most things fitness related, so some research and experimentation is good. Just be sure to keep yourself in check—and keep yourself safe—whenever you approach anything touting to be the "latest and greatest." 5. You have no "why." The final reason you're not accomplishing all of your fitness goals is that you've yet to find your why. This phrase has been getting a lot of love lately, but having a deeper, underlying purpose for wanting to achieve your goals could be the key to unlocking your true potential and overcoming plateaus. Goals are one layer, but there are deeper reasonings behind those that you need to dig deep and find. Why do you want to lose weight? Why do you want to compete in a fitness competition? Why do you want to add five pounds of muscle? Go deep when answering these questions because they are going to be the driving force getting you out of bed and going after your goals every hour of every day. In a recent consultation I had with a client, we found her why. She wanted to lose weight because playing sports with her kids was causing her pain and she couldn't keep up. Her why was family time. In another consultation with a basketball player, he mentioned wanting to be bigger, stronger and faster to improve his game. But why? As it turns out, he wanted to be the first person in his family to go to college and his basketball skills could take him down that path. That's a powerful why. Anyone can say they want to lose 10 pounds before summer, but focusing in on what you can gain by achieving your goals forces you to realize the quality of life you're working toward. Who you'll be at the end of a journey is a powerful thing, so taking the time to discover your why is where you can truly impact your life. Goals are just the tip of the iceberg—what's hiding beneath the water is much more important. Plateaus are an inevitable part of any fitness or health journey, whether you're an elite athlete or just getting started. While it's a difficult time in the journey, throwing in the towel should never be an option. Instead, consider all the possibilities, develop a new plan, pivot and get back on the path that will lead you to greatness. Thank you for a really hard-hitting piece of advice. My environment at work does not support me - so I have to have lots of tactics in hand to deal with it. I do not consistently work hard enough at my exercise programme. I can not identify my 'why' really - other than maintaining my health. 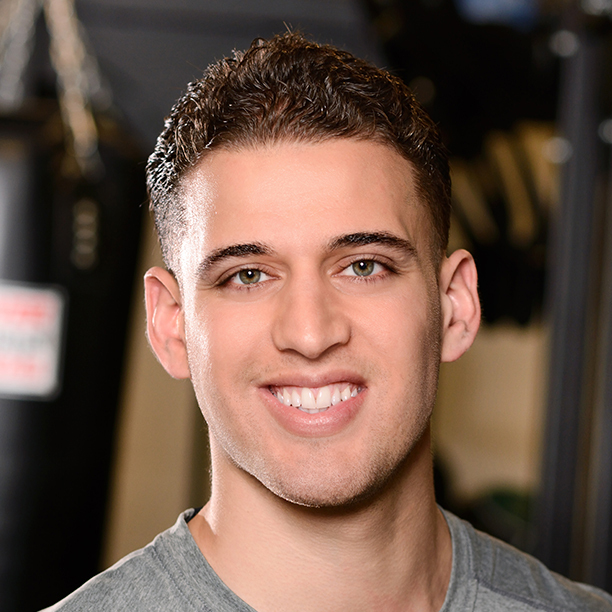 Justin Ochoa is a personal trainer, strength coach and co-owner of PACE Fitness Academy in Indianapolis, Indiana. Justin is passionate about health and helping others achieve their fitness and nutrition goals. He especially enjoys connecting with like-minded coaches, trainers, athletes, and fitness enthusiasts to continue to learn and perfect his craft while helping others. Follow him on Instagram, Facebook and Twitter by visiting www.justinochoa.com.